My son William. A nicer young man you would never meet. We know that he was under house arrest at his mothers residence. His Mother is Vivian Medina DDS. Her address, where he was under confinement, is 13518 Westshire Dr. Tampa FL. His mother, Vivian Medina has since sold the house and no longer lives there. 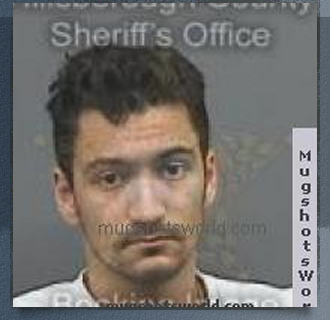 He left his ankle bracelet and monitor at his fathers house at 14916 Evershine St., Tampa. That is his last known whereabouts. His father is Rolondo Ponce DDS. People he may try to contact include: Vivian Medina, Rolondo Ponce, Katherine Ponce. We still cannot trace why he was going the wrong way that night. We need to know what bar or residence he left so we can determine where he got on 275 at. This is important to know. We also need to know what Bars/nighclubs he frequented. Wherever he is he will be at those type of establishments. If you know where he liked to go please tell us. We wil keep it confidential if you wish. We need to know things like what his pastimes are. What are his hobbies, and interests, The smallest things could turn out to be very important. Please help us find our son's killer. 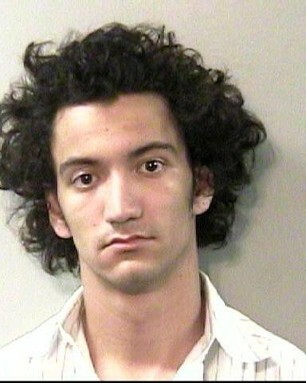 Bay News 9 just recently did a story and said that Christopher Ponce is wanted for DUI Manslaughter. What they didn't mention is that he is wanted on several other charges as well including vehicular homicide. More stories are on the way. Tell everyone you know. If you know something about this cowards whereabouts let us know. If you want your identity to remain confidential we will keep it confidential. You could even be eligible for a reward. This creep (Christopher Ponce) and those who are helping him are cowardly scum, unable to face the responsibilities of their actions. Enough said. There is a special place in hell for people like this. They all deserve to be in prison. You can print them out in color or black and white. Please distribute them in your home town. Thank you.